Sunglasses on. Find your spot, take a seat, and enjoy the beautiful view. Beach or a nice pool, beautiful girls in their swimsuits (or even without them), and your dream job for this summer. 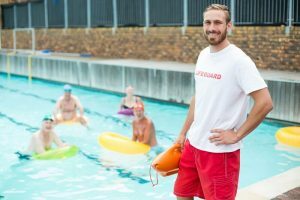 Welcome to the lifeguard world! In reality, this job is far more complex. And you carry a huge responsibility on your shoulders. You have to stay focused, you have to keep your eyes open. You will guard the most precious things of all: human life. 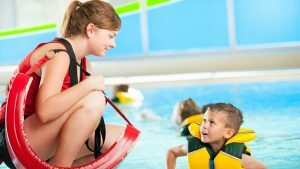 Test of your swimming skills (sometimes also a test of your first aid skills, but many swimming pools, hotel resorts, and beach facilities will provide first aid training to their new hires). In this article we will focus on the questions and answers, the first part of the interview. If you are not an excellent swimmer, you should forget about this job (at least for this summer, until you learn to swim better). Let’s proceed to the questions. Why our beach (hotel, swimming pool, spa resort, aqua-park)? How do you imagine a typical day in work? Do you have an experience with saving someone from water? Do you have an experience with resuscitation, mouth to mouth breathing, etc? Can you work twelve hours a day? You should focus on your skills and abilities that make you a good applicant for this position. Tell them that you are a great swimmer, that you have good observation skills, and a strong sense of responsibility. You can also say that you consider this an ideal summer job (if you apply for a temporary vacancy), and plan to return to school once the holiday season ends. If you had this job before, you should refer to the experience. And don’t forget to show some enthusiasm in your voice! Try to praise them for something. You can say that you really like the place, or that they have the most beautiful beach in the area. Or you can point out a good reputation of the place, or even say that you used to come to the resort to swim and enjoy your summer days, and know the place like your own house. Alternatively you can simply say that you had no special preferences, that you are ready to do your job well anywhere, and basically applied with them becasue you liked the offer, or the job description, or becasue their resort is in a favorable location for you. You should show a proactive approach to work. And you should express your willingness to help with a variety of duties. For example: setting up the umbrellas, checking the water safety, consulting the visitors and helping them with their questions, explaining safety rules to visitors, etc. The key is to convince the interviewers that you did not choose this job becasue you are lazy, and plan to help as much as you can. You do not need to have this experience to get the job. But the interviewers will still ask the question, and they will observe your reaction. The key is to stay honest, and describe your experience in a calm voice. Say how you helped someone, how you saved someone who was drowning in water. Long shifts are not ideal for a person who needs to stay vigilant and focused in work. Alas, they are the routine for lifeguards. Surely it is not the best practice, but it does happen. And if they ask about your willingness to work twelve hours a day, you can be sure that such shifts are common at the place. Can you manage that? Are you ready to work for such a long time each day? Are you ready to bear the responsibility? If you are not, you rather tell them so, and look for another job. But if you are ready, you should say more than a simple YES. Elaborate on your answer. Tell them that you have experience with long shifts, that you do not get tired in work, and are ready to stay vigilant during an entire shift. Imagine that you are tired in work, and can not really concentrate. What will you do? Describe a conflict you had with one of your colleagues. Imagine that two children start drowning at the same time, on the opposite sites of the pool. What will you do? Do you have any illness or medical condition we should know about? 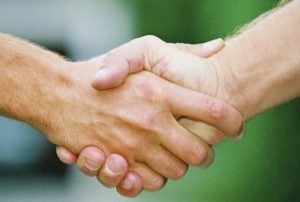 Interview for a lifeguard job does not belong to the difficult job interviews. What is more, you won’t compete with many people for the position (sometimes you may be the only job applicant). But you have to show the right attitude to work, and demonstrate a strong sense of responsibility, to succeed in this interview. Do not take your preparation lightly. Get ready for the questions, and make a good impression. We wish you good luck! Interview follow-up – Improve your chances to get a job with a great follow up letter or call. How to dress for your interview – Four rules to consider when choosing clothes to wear. What job is right for me? Starting your professional career? Deciding about your studies? Or feeling unhappy in your present occupation? The article should help you to find your true calling in life.